Commercial activities and vehicular movements were paralysed at the weekend in Omuo Ekiti, when youths staged a protest against the suspension of Mr. Ojo-Ade Fajana representing the area from the state house of assembly. While on suspension, he was also barred from within one kilometre radius of the assembly complex and must submit all properties of the assembly in his custody to the clerk of the House. Another member representing Ikole Constituency 1, Mr. Gboyega Aribisogan, was suspended last year over gross misconduct. According to the Chairman, House Committee on Information, Dr. Samuel Omotoso, the suspension came into force after the disciplinary committee set up by the Speaker, Kola Oluwawole, to investigate Ojo-Ade submitted its report at plenary. Placard-carrying protesters massed along the major road leading to the local government headquarters, halting movement of vehicles in and out of the community for several hours. The protesters, who sang solidarity songs, demanded the immediate and unconditional reversal of the suspension of Fajana within one week. 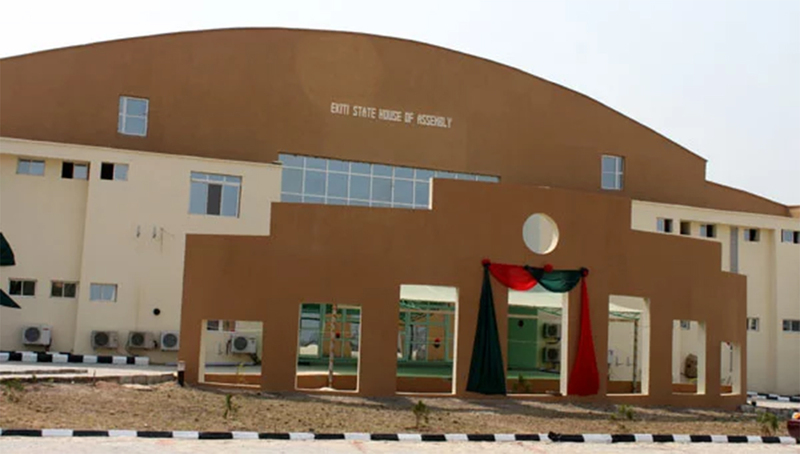 Speaking on behalf of the protesters, Olajide Samuel, who is the president of the group, said that the entire Constituency 1 in Ekiti East Local Council has been denied of representation in the scheme of things at the assembly. He said the reason given for the suspension was laughable, unjust and unconstitutional, adding that the lawmakers were merely acting the script of their principal. 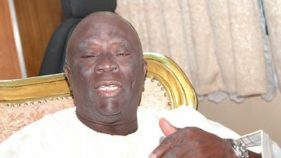 Samuel therefore appealed to well meaning Nigerians, including the Peoples Democratic Party, (PDP), at the National level and National Assembly to call the Ekiti Assembly to order before they throw the state into avoidable crisis. 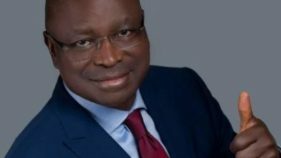 Meanwhile, the Ekiti State Government has advised residents around Oke Agboona in Okemesi Ekiti to stay at least 300 metres away from the hill warning that the likelihood of a reoccurrence of Soil Creep in the area is high. This was made known on Saturday by the Ekiti State Deputy Governor, Prof. Kolapo Olusola, who led a delegation sent by the Ekiti State governor, Mr. Ayodele Fayose to have an on-the-spot assessment of the havoc wrecked by the creep last Thursday. Properties worth millions of naira were swept away by the creep last Thursday, after three days of downpour in the ancient town. 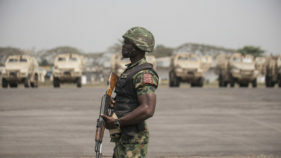 Olusola, who congratulated the Owa Ooye of Okemesi Ekiti, Oba Michael Gbadebo Adedeji and the entire people of Okemesi that no life was lost as a result of the disaster, promised that the government will hold a meeting with the Kabiyesi and stakeholders on how to minimise the effect in future.